Group one, the most damaging, is motivated by gaining access to the tax dollars citizens pay for public education. They hide behind a pretense of serving children and building America’s future. They are ruthless pirates who have no allegiance to anything but their own wealth and power. They are often hedge fund managers. Many are successful entrepreneurs who believe that because they created or inherited wealth, they are experts in every field. Rupert Murdoch states openly that there are over $500,000,000 (million) new dollars a year that they want access to. They call themselves by names that would have us believe they are reformers who put America first. They fool some poor suckers as they steal the American Dream from us all. Group two, a large mixed group made up of those who call themselves “education reformers.” Typically, these “reformers” do not have an education background, any legitimate certification, and any, or very little teaching experience. They have grand visions of themselves which manifest in a drive to change and profit from a system they are unable to accurately define and do not understand. None of these self-appointed change agents are focused on what our children need. Those with this narrow, self-serving mindset accept that something is true without checking or affirming it. (i.e., Bad teachers are the problem). They claim to have hunches or insights that will correct problems. A woman who typifies this limited thinking is Michelle Rhee. She demonstrates a myopic way of thinking that is not productive. That is, if you threaten and hurt people they will get in line behind your assumptions or get out of your way. Bill and Melinda Gates are part of this way of thinking. If you devise tests that are designed to fail children and their teachers, you will motivate them and purge the profession – or so this tragic way of thinking plays out. Let’s tap Dr. Jill Bolte Taylor’s clear definition of the direct antithesis of the “reformer’s mantra”. “It might be of interest to note that all of today’s ‘brain-based learning’ techniques used in elementary through high school capitalize on what neuroscientists understand about the functions of the limbic system. With these learning techniques, we try to transform our classrooms into environments that feel safe and familiar. The object is to create an environment where the brain’s fear/rage response (amygdala) is not triggered. The primary job of the amygdala is to scan all incoming stimulation in this immediate moment and determine the level of safety. One of the jobs of the cingulate gyrus of the limbic system is to focus the brain’s attention. Dr. Taylor goes on to point out that when the amygdala is triggered, learning is blocked. I have observed that almost every attempt to reform schools is accompanied by threats, punishments, bribes, and fear-generating ideologies. 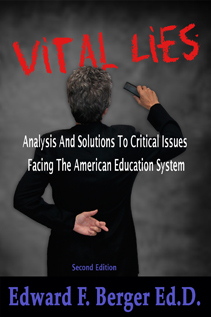 High Stakes Testing, Common Core, PARCC, the SAT, are all threat-based approaches. Most State testing programs are threat-reward based. (Teach what we tell you to teach and your school will get an “A” rating). Fifty years ago many teachers used tests as threats and punishment. Today, teachers are aware of brain-based studies and no professional educators believe that fear, pressure, and student abuse are acceptable in a learning environment. Why then does the USDOE (Arne Duncan), Pearson – a foreign company extracting billions of dollars from American schools – continue measurement systems that are not educationally viable, and in fact block learning? The answer is simple. They actually believe that people are motivated, learn, and work harder when they are threatened and under pressure. There is no evidence to support this, but of course, they are fact-adverse. Group three, is a collection of individuals and groups who cling to radical ideologies. At one end of the spectrum we find fundamentalists who advocate many types of non-scientific belief. We observe End Times preaching, and morality and sexual access based on the will of old white men. These sects or cults do not want public education. They reject equality between the sexes. They want to control what is taught. They want to control what the rest of us learn. In center field, are groups usually organized around established religions. These folks want every taxpayer to pay for their particular religious indoctrination. They want every taxpayer to pay for their schools, but they reject teaching that conflicts with their superstitions, dogmas, and ideologies. They reject enrolling students who will not convert. They do not believe in the separation of church and state, but rather a state run by their church. Recently, these groups have been given access to public tax dollars collected for public education. At another extreme, we find opportunists – politicians who can align themselves with movements or oligarchs and can stir up the support of enough people to get elected. When organized by others who profess libertarian or other extreme ideologies, for example the Koch Brothers, they support corporations with the specific intent to destroy public education, privatize prisons, and forbid worker associations and unions. The powerful corporate-driven ALEC – Alliance Of Legislative Executive Councils – has been successful in destroying or impoverishing public schools in many states. They see no conflict in profiting through access to our tax dollars via corporate-run or connected partial schools (charter schools). Another powerful force is white supremacy. Their goal is to keep segregated, or re-segregate America’s schools. Theirs is a centuries-old war against people of color. At this time, in the states they control, they are financially destroying public schools, and supporting charter schools that segregate. Finally, each group attempting to destroy or reform public education and access the tax dollars citizens pay for public schools, violates some or all of the tenets that guide the education profession. What are some of these tenets? •	We do not experiment on children. •	We honor and get to know each child, even those who are hurt and will not score well on summative tests. Unless the system is overloaded – not enough resources and too many children assigned to a teacher – no child is left behind. •	We honor a long history of One Nation united by our education system through common values, comprehensive curriculum, one overall language, and free K-12 education for every child. •	We reject the false assumption that schools can be run for profit. Profits take money away from children/schools. These are dollars that must go to services for children. •	School governance must follow democratic principles, starting with elected officials and elected school boards, and not mayoral control, politically appointed czars, or would-be oligarchs from the Billionaire Boys Club (think Eli Broad). •	We have a proven system of certification and competence. Educators are constantly evaluated by parents, administrators, peers, and students. This is the reason there are very few “bad” teachers. Great post…the tenets listed at the end are spot on!! !